Thank you for choosing us as your healthcare provider. We take great pride in your care and attempt to minimize your out of pocket expenses. We ask that you read the following policies in full and understand the importance of keeping all scheduled appointments and procedures. We are participating with Medicare and most major insurance plans. If we participate with your insurance, all co-pay and co-insurance amounts are due at the time of service. We will routinely file your insurance claim for each visit. Should there be a dispute with your insurance company, we will attempt to help you resolve it. While this dispute is being resolved, the balance may be transferred to your personal balance, which must be paid upon receipt of this notification. You insurance policy is a contractual agreement between you and your insurance company, not between this office and your insurance company. This office will file your primary insurance for you as a courtesy and assist you in filing secondary claims. However, you are responsible for negotiating any unpaid or disputed claims with your insurance carrier. It is your responsibility to know what services are covered under the policy. 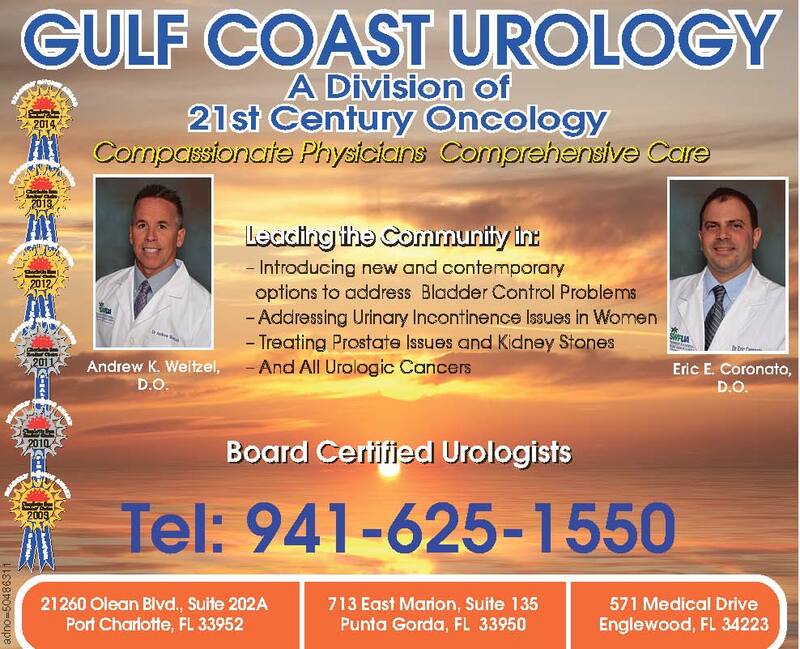 Some insurance plans require primary care physician approval for any visits to a specialist (including Urology). Under these situations, your primary care physician must provide the patient with a referral form authorizing specialist care. Our office must receive this completed form either before the time of your visit. Without this form, you will be required to reschedule your appointment. If you have any questions regarding which insurance plans we accept please call us at 941-625-1550. Questions regarding your coverage and benefits should be directed to your employer or insurance company.